Scrunchies are great, and they’re back in style, too! They don’t tend to get tangled in the hair like elastic bands, and you can match them with your outfits. Make your own, and there’s no end to the designer possibilities! 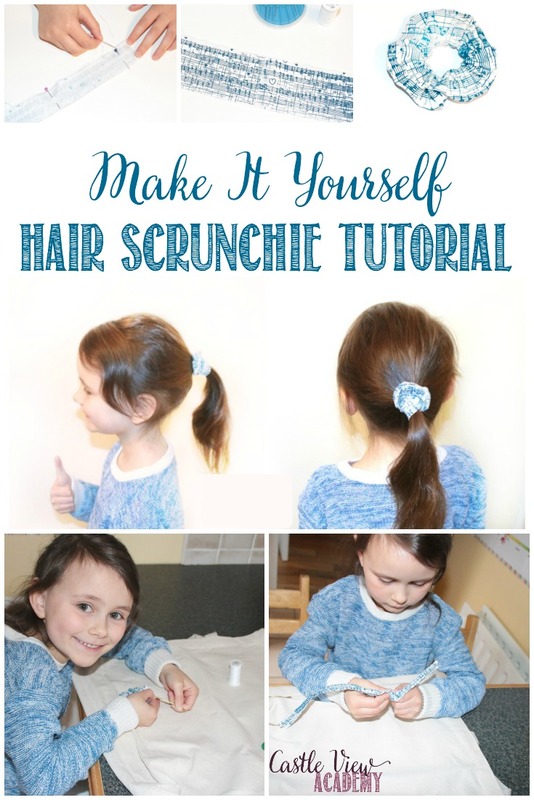 Making a scrunchie is so easy, in fact, that my (then) 7-year-old daughter made this one all on her own and is going to share the process with you. 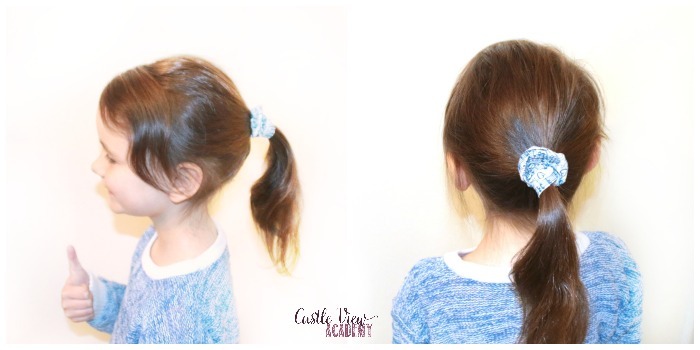 In addition to making a pretty and practical scrunchie, this easy project can also be used as a class in life skills to teach children how to measure, cut, sew, and take pride in their work. We had some 12″x 12″ squares of cotton fabric so Kallista cut a strip of it approximately 2.5 inches wide, but to be honest, if you have a piece a little wider as well as longer, it would give you a bigger ‘scrunch’ but this was our first attempt and we were using what we had; there’s no sense in spending money when you already have workable supplies at home! 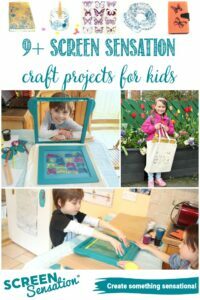 Kallista used our Screen Sensation to print her desired design of music paper onto the fabric (you can see how to use the Screen Sensation unit as well as the other projects we made with it here). Then I helped slightly by getting the iron out and setting the ink by ironing the fabric strip for two minutes on the reverse side of the fabric. Now Kallista measured a piece of elastic against the length of her fabric. Ideally, this would be a proper piece of elastic used for sewing, but I couldn’t find the piece we should have, so we improvised and used a piece of elasticated cord. It doesn’t quite have the same stretch or strength, but so far it’s worked well for the past 2 or 3 months. When it needs replacing, we’ll use that opportunity as another lesson. 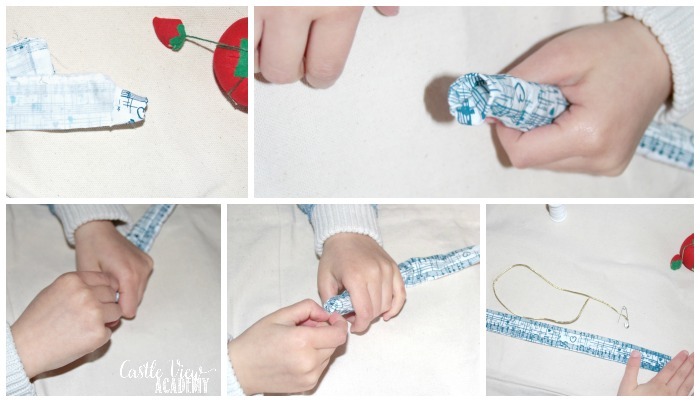 The elastic needs to be shorter than the fabric; if you have another scrunchie in the house, you can stretch it out to gauge how long your elastic should be. Roughly speaking, though, when your elastic is stretched out it should then be the length of the fabric, but leave a little extra so that you have room to knot the elastic together later. 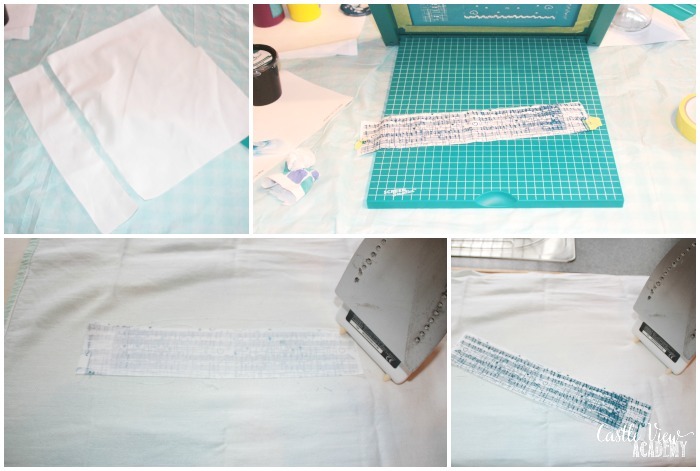 Now it’s time to place your fabric on the table, right side up and then fold it lengthwise in half. Use some sewing pins to hold it in place with the edges all even with each other. Thread your needle, knot the thread, and begin to sew along the long edge to form the seam. Sew using as small a stitch as you can in a straight line, as close to the edge of the fabric as you can without getting too close so that if the fabric frays a little the stitches will be affected. When you get to the end, finish off with a knot, snip the thread and remove your sewing pins. Now it gets a little trickier, but fun. It’s time to turn the piece right side out. Fold over one end and start pulling it down over the column and the continue to do that; pulling a little out at a time and folding it down. When you reach the half way point, you may find it easier now to turn your roll over and start pulling out some of the fabric from the centre, just like pulling out belly button fuzz, so my kids tell me. When your roll is all right-side-out you’ll see it taking shape and the excitement will build after all of the boring work that’s been done. 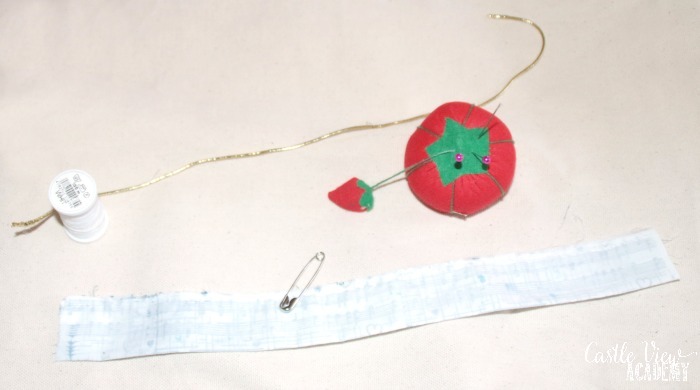 Attach a safety pin to one end of the elastic and secure it. Then carefully feed the elastic through the scrunchie roll using the safety pin as the engine to work its way through. Pull up ad scrunch some of the fabric onto the front end of the safety pin, pushing the back end of the pin through the tunnel. Keep doing this until the elastic comes through the far end of the tunnel. Be sure to hold onto the tail end of the elastic so that it isn’t pulled through the roll or you’ll have to start again. Now carefully knot the ends of the elastic together as tightly as you can so that they will not pull apart. 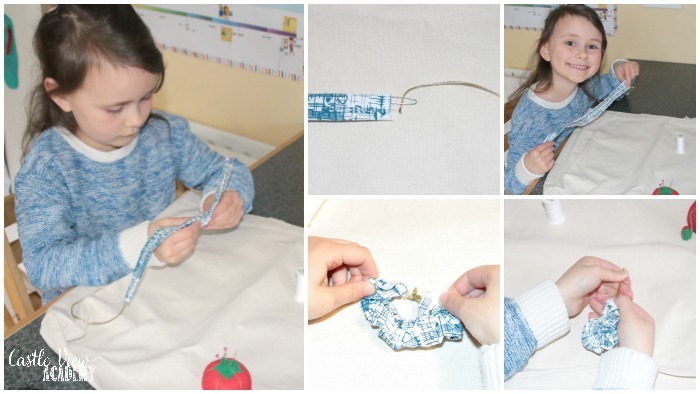 Sewing them together would create less bulk, but a knot is simple and easier for younger children to do. Now comes the trickiest bit of all, and I did help Kallista with this, but she watched carefully so that she can do it on her own with the next scrunchie she has planned. 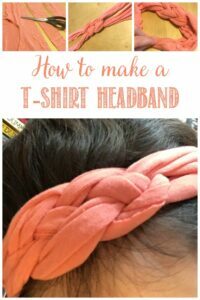 Gently fold in the raw edges of the scrunchie about a 1/4″. Then carefully sew the two ends together. Start by taking the needle i and out through the edge of one fold then cross to the opposite fold and do the same. Continue in this manner, sewing the folds together to create an invisible seam. Don’t worry if it isn’t perfect as the seam will also be hidden in the folds of the scrunchie when it is worn. There you have it! 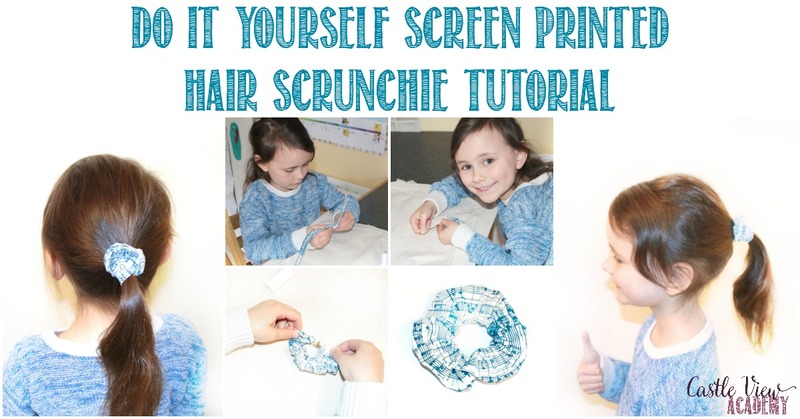 A scrunchie so easy a child can make it! Kallista already wants to make more using different fabrics and screen printing patterns and colours. She can even make them as gifts for friends; what better way to say you care than to make a gift from the heart. Very clever! 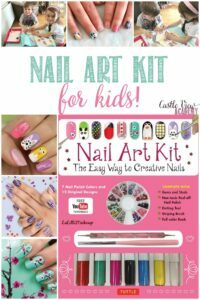 I like the detailed instructions and step-by-step photo instructions and the beautiful model. Thank you for teaching me how to do this!